Alex Brewer, 17, Australia, was born with a partially-formed right ear which prevented him from hearing many of the sounds most of us take for granted. 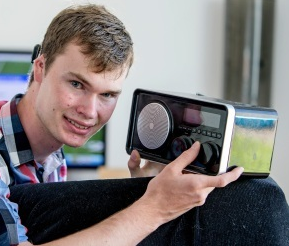 In 2013 he became the first teenager ever to be implanted with the Baha Attract System. If you have children – or have been one! – you most probably have had to deal with ear infections. Chronic ear infections, also known as Chronic Otitis Media, are more likely to affect children because their eustachian tubes are smaller which makes it difficult for fluid to drain out of the ear. In most cases, children (and adults) suffer no or few consequences from this condition. However, those with recurring infections have higher risks of developing conductive and sensorineural hearing loss. Approximately 141 million people in the world (2.1% of the population) have mild hearing loss that results from otitis media. People with a conductive hearing loss often have difficulty understanding speech over background noise, and they may have trouble localising the origin of sounds. The Baha System can help restore hearing by sending sound directly to the inner ear. Because the ear canal is never obstructed, the discharges associated with Chronic Otitis Media are allowed to dry properly, which reduces the risk of further infections*. What is great with Baha solutions is that they can be implemented early in life, so kids won’t miss out on the important early period of learning speech and language. * Macnamara M, Phillips D, Proops DW. The bone anchored hearing aid (Baha) in chronic suppurative otitis media (CSOM). Journal of Laryngology and Otology Supplement. 1996;21:38-40. The new Baha Attract System uses magnets to connect the sound processor to the implant. Here is a story from Dutch newspaper AD about Gabry, the first ever person in the Netherlands to be implanted with the Baha Attract System and get “Perfect hearing with a magnet in her head”! George Cire, Senior BAS Clinical/Technical Manager, and Bobbi Scheinin, Senior Product Manager of Cochlear Americas, explain the new Baha 4 Sound Processor and wireless accessories. 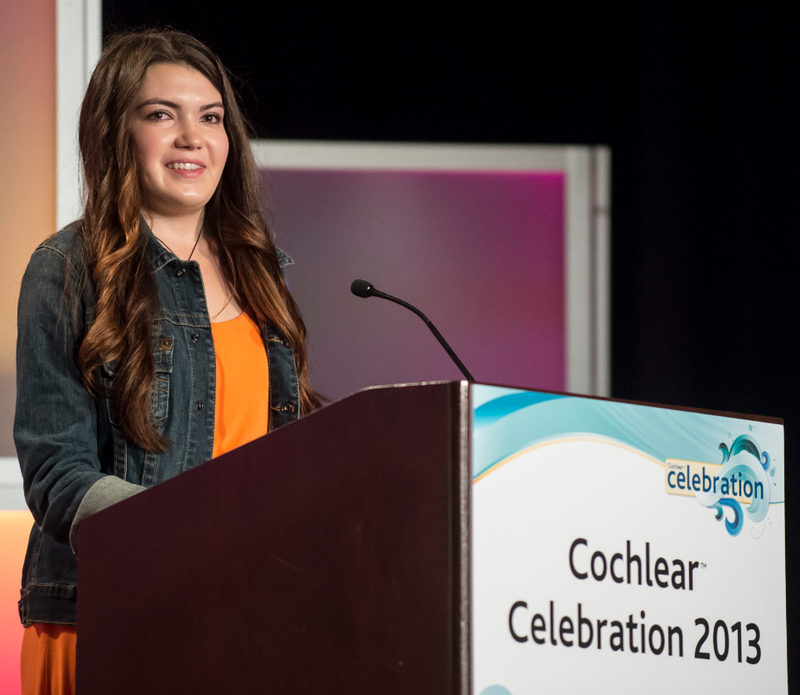 At the Cochlear Celebration in San Diego 2013, we had the pleasure of meeting Camille Masino – our 100,000th Baha recipient. Camille has danced the ballet since she was three years old – without even being able to hear the music, or her teachers. It wasn’t until she received her Baha sound processors that she could bring her dancing to a whole new level. 20-year old Camille, USA, was born with Goldenhar Syndrome. She had fused vertebrae in the neck making it difficult to turn her head, as well as deformation of the outer and middle ear which caused her to suffer from severe hearing loss in her right ear. Her childhood was filled with constant trips in and out of surgery. 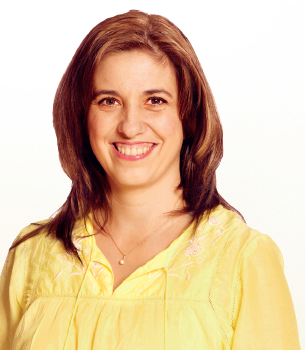 To complicate matters further, Camille also had sensitive allergies and chronic sinus problems. The allergies brought on constant ear infections in Camille’s left ear – her “good” ear – causing her to suffer from hearing loss on that side too. At age 11, Camille developed a cholesteatoma (a growth in the middle ear) in her left ear and from then on she really struggled to communicate. A doctor told her parents that Camille would most likely find it difficult to succeed in school. At the age of 14 and after almost as many surgeries, Camille decided to get bilateral Baha sound processors. Dancing is Camille’s life. She started dancing ballet when she was just three years old, and has danced though deafness, dizziness, pain and the inability to turn her head. I love dancing. I dance six days a week. After every surgery I would wrap my head in a scarf and rush to get back to the studio. All my doctors thought I was crazy. Without being able to hear, Camille learned how to dance by lip reading her teacher’s instructions and by feeling the beat of the music. When she got her Baha sound processors, Camille could hear the music for the first time – and her teacher. When Camille heard her teacher giving her praise it was a revelation. She realised that she had been doing it for years, saying “Good” or “Well done!” – only Camille had never heard it before! In her senior year of high school Camille danced the solo role of the Snow Queen in the Nutcracker; “She was beautiful,” says Hilary. Proving her doctor wrong, Camille graduated from high school with a 3.9 GPA and with a career path award in Medical Microbiology and Biotechnology. She was accepted to college at Brigham Young University in Provo, Utah.